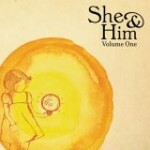 She & Him, Volume One. Okay, so it’s Zooey Deschanel. But it’s also M. Ward. And the two of them together make some pretty beautiful music. The cover of the Beatles’ “Should’ve Known Better” is one of the nicer surprises on the album, but some of the originals (“Sentimental Heart”) in particular are quite good, and if Zooey’s singing voice is occasionally a little mawkish, her self-harmonies on a few of the tracks are worth the price of admission. 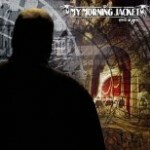 My Morning Jacket, Evil Urges. There aren’t enough good Southern fried jam bands led by falsetto vocalists with undeniable funk tendencies in the world, and this is the best of them. I love the two-parter “Touch Me I’m Going to Scream” for the name and the music, and “Highly Suspicious” and “I’m Amazed” combine to ensure that the band will never be mistaken only for a bunch of left-wing Skynyrd impressionists. Okkervil River, The Stand Ins. This band earns their presence on this list both for this album and their previous, The Stage Names, which I just discovered this year. Hat tip to my college classmate Darius Van Arman of Jagjaguwar for signing these guys. 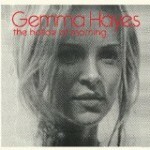 Gemma Hayes, Hollow of Morning. A welcome return to the US market by the big-voiced wistful Irish vocalist. Her second album was never released stateside–I have yet to hear it–but her first, Night on My Side, was one of my favorites a few years ago. The new album takes the voice to some familiar places but also some quieter ones; Hayes seems both stronger and more fragile after a rough few years, and it makes for gripping listening. Bon Iver, For Emma, Forever Ago. Hard to avoid this album this year, even if you’re consciously trying to listen to fewer angsty indie rock boy music. 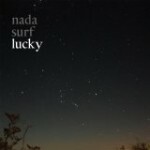 This album avoids being only angsty indie rock boy music by dint of its rough isolation and its complete bitter sincerity–a bracingly honest musical statement that can’t be listened to in a noisy room. David Byrne/Brian Eno, Everything That Happens Will Happen Today. It sure isn’t My Life in the Bush of Ghosts II, and it didn’t have to be. There are some really brilliant songs on the album, David Byrne is in fine voice, and Brian Eno’s musical textures are as squelchy/crunchy/sweeping as ever. So what if Byrne doesn’t touch his guitar nearly enough and Eno’s beats are as white as ever? Well, actually fixing those two things would have made the album a lot better, but it’s still good enough to be on this list. Elvis Costello and the Imposters, Momofuku. Put Elvis Costello into a room with a solid bunch of musicians and turn on the mikes and this is what you get–a searingly raucous set of new tunes that tear the status quo a new hole and rock their way into your jeans. The Fireman, Electric Arguments. WTF is Paul McCartney doing on this list? Showing the youngsters how it’s done, mostly–some soaring electric moments, some amazing (but not saccharine) ballads, and a healthy dollop of experimentation. Much nicer than his Starbucks release from last year. 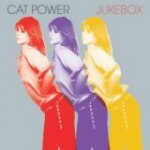 Cat Power, Jukebox. If Chan Marshall keeps releasing records like this, she’ll make a strong case that she’s this generation’s leading interpreter of popular song–an unlikely successor to the likes of Ella Fitzgerald or even Dusty Springfield, but a strong contender nonetheless. As in Springfield’s case, the backing band doesn’t hurt either. Nice slice of Memphis-ized greater and lesser known songs. Bob Dylan, Tell Tale Signs. I’ve said it before and I’ll say it again: many artists would kill for songs as strong as the stuff Dylan throws away. Tell Tale Signs is effectively a direct sequel to the first three Bootleg volumes, which covered the period up through the mid-80s, and while it mines leftovers from a far smaller proportion of his sessions (Oh Mercy, Under the Red Sky, World Gone Wrong, Time Out of Mind, Love and Theft, and Modern Times), the result is a compelling set of tracks that prove Dylan’s continued vitality. Beck, Modern Guilt. After a lightweight party album (Guero) and a disposable “serious” album (The Information), I was skeptical about the new recording, and bringing Danger Mouse to the party felt like a desperate grab for relevance by an artist several albums past his peak. Well, I was wrong–Danger Mouse was an inspired addition to the party (though the one non-DM track, “Chemtrails,” is one of the best on the album), and the album is tighter than anything Beck’s done in years. It hits you in the dance bone and gets out of there in 30 minutes. What more could you ask for? Radiohead, In Rainbows. The album so nice they released it twice–digitally and physically–and so wonderful that they earned a place on my best list two years in a row. This year’s release of the live recordings of the material on the “Scotch Mist” video podcast gave me renewed appreciation for the soundcraft behind the sonic textures. Shannon Worrell, The Honey Guide. I’ve written about the album at length, so I’ll just say that (a) there’s a reason that it’s been in my sidebar for months and (b) “If I Can Make You Cry” may be one of the strongest individual songs of the year. Shannon, when are you going to come up to Boston? Vampire Weekend, Vampire Weekend. A candidate for fun party-music album of the year, this album features a bunch of white kids playing Afropop music and totally pulling it off. That their lyrics are about trust-fund kids from the Cape is a precious conceit, but the songs are fabulous nonetheless. You can also see the list at Lists of Bests. Holy cow. 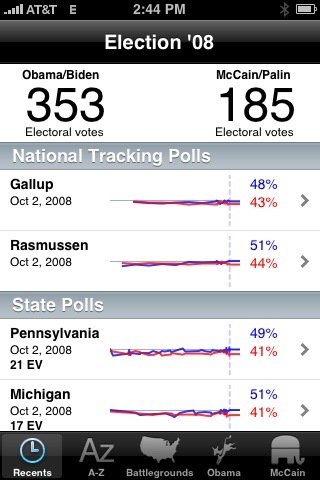 284 electoral votes at 11:01 PM. 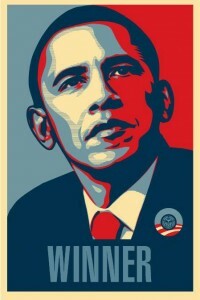 Barack Obama will be the next president of the US. I voted this morning at around 8:25 am. I was number 325 at my precinct; a line about 100 people long had been there at 7 am, so I was catching things at a brief resting point. There was a PTA bake sale on the way out. It was a traditional end to a most untraditional election. This has been the most amazing presidential election I can remember. I followed 2004 closely but wasn’t too plugged into it–went into the general election behind Kerry but was never a huge fan. 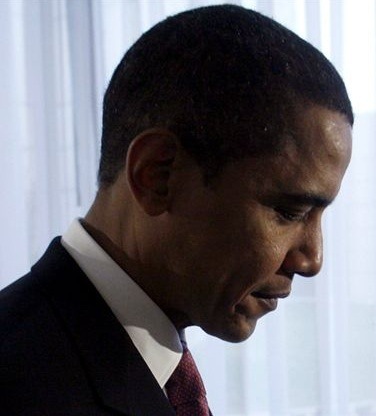 As I drove cross country the week of the Democratic National Convention listening to podcasted speeches on my iPod, the one that impressed me most was Barack Obama’s, and I didn’t know who he was then. I think we all do now. Now we’ll see what happens. I’m “fired up, ready to go” but I’m also nervous as hell. It’s been too long a road and there have already been too many notes about dirty tricks for me to relax now. But we knew it would be a long road and I’m ready for a long night tonight if necessary. There are things I can think of to pass the time–like a little online competition to see who guesses the electoral college split–but I don’t want to jinx the outcome. So for now, to work, and we wait. And watch the early returns. By all indications this will be a huge turnout election, and it’s already breaking some precedents–like Obama becoming the first Democrat to win in Dixville Notch, NH since 1968. By the way–when did they stop handing out “I voted” stickers? Not only are we going to New Hampshire, Tom Harkin, we’re going to South Carolina and Oklahoma and Arizona and North Dakota and New Mexico, and we’re going to California and Texas and New York … And we’re going to South Dakota and Oregon and Washington and Michigan, and then we’re going to Washington, D.C., to take back the White House! Yeah! I linked to electoral poll results for each of the states Dean called out. It’s interesting to see that while many red states have stayed red, Arizona, North Dakota, and Michigan are all clearly in play, while New Mexico has moved solidly into the “safe Democratic” column. And geez, look what’s happened in Virginia and North Carolina. I think that the overplaying of the Dean Scream may have been one of the biggest injustices ever done to a presidential candidate by the media, but in the long run, maybe the party is better off for having him in the internal role that he’s excelled at. The really interesting question, raised by Kos this weekend, is: who will the right find to rebuild the party? Who will play Howard Dean for the GOP? Though the AP has called the Democratic nomination for Barack Obama based on its own private delegate counts, I think it’s too early–or maybe too late–to celebrate. Cause the weirdness is just beginning. Aside: An email list I’m on recently sent out an article advising blog authors to focus on one thing only, and I’m about to break that rule in a big way by writing about the Democratic nomination. But it’s because of other things that I do–namely, genealogical research–that I have the perspective I’m about to share. I have a distant relation who sends information about the family from time to time. We’ve never met, and aside from the family connection six generations or so back we have nothing in common, which is made abundantly clear from the right-wing emails bashing Obama (not HRC) that he regularly sends out. But getting his email is an interesting opportunity to see how the unofficial smear machine will take on Obama’s candidacy, because every one of them that pops up is getting forwarded. And FINALLY the Most Damming one of ALL of them!!! Of course, not all my conversations in immigrant communities follow this easy pattern. In the wake of 9/11, my meetings with Arab and Pakistani Americans, for example, have a more urgent quality, for the stories of detentions and FBI questioning and hard stares from neighbors have shaken their sense of security and belonging. They have been reminded that the history of immigration in this country has a dark underbelly; they need specific reassurances that their citizenship really means something, that America has learned the right lessons from the Japanese internments during World War II, and that I will stand with them should the political winds shift in an ugly direction. Now, I have some basic reading comprehension skills, and I have no problem parsing this: concern that the nation’s xenophobia unfairly penalizes immigrants during national emergencies, remembrance of overreactions of the past, and a recognition that immigrants want national leaders to help them and safeguard their rights. The quotation does not say “I will stand by the Muslims,” but that he sees that the immigrants want their adopted country to stand by them. Um, WTF? Not at all what it said, or I said. 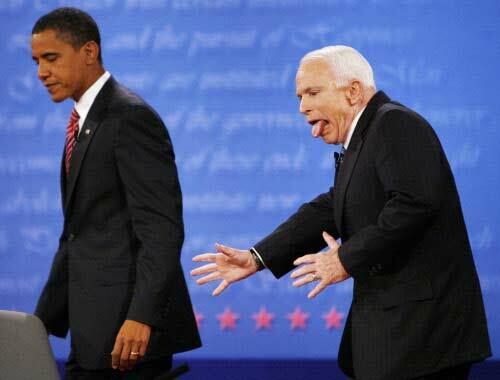 But this is the sort of “logic” that opponents of Barack will use to try to block his campaign for the white house. We all need to be alert to this and help put out these smears as they come up. The stakes in this election are too high for our reason to be led astray by those who would manipulate our fears.